We are excited to announce the launch of two great, new Hasbro ‘Summer Savings’ promotions for our TRANSFORMERS and STAR WARS brands. 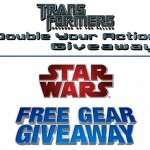 Starting today, through July 31, 2010, when you purchase $25 or more of select Hasbro TRANSFORMERS or STAR WARS products, you will receive product of $25 value FREE! 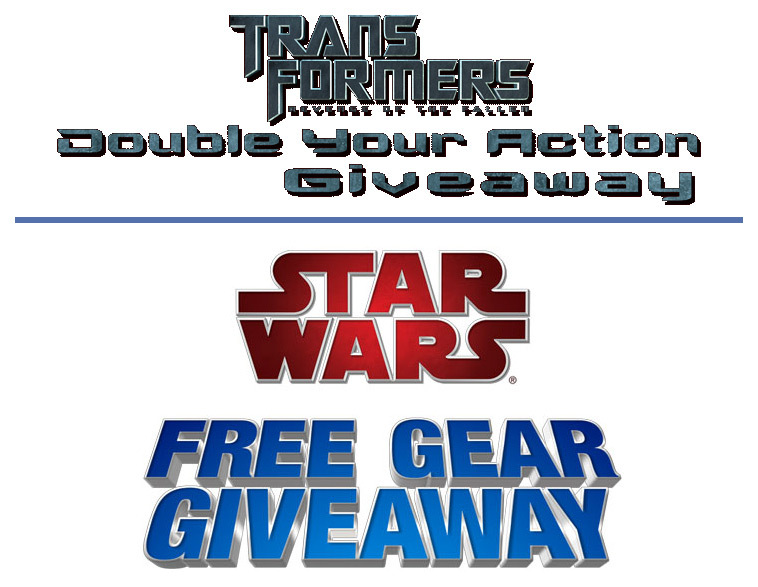 Details on which Hasbro TRANSFORMERS and STAR WARS product qualifies in each promotion, as well as redemption instructions, can be found using the links provided above. So check out the links and see what you need to buy and what you can get.